Not the least of Harold Bloom’s many charms for me is that he bridges poetry and jazz, to which our conversation turns. Bloom combines ardent fan-hood and that incomparable gift for assimilating and synthesizing all he’s heard as well as all he’s read, and making meaning of it. Harold Bloom with Chris Lydon, at home in New Haven, Connecticut. Autumn 2007. I had conversations with him. He was very tightly restrained. You had the feeling of someone who was balancing himself on a wire, knowing he could plunge over on either side. Cheerful enough, but grim underneath. Very tense. Very beautiful. He had that wonderfully stripped down face at that point. It got tormented and puffy after that, but it was rather an astonishing profile at that point… He was very literate, though he didn’t like to talk in terms of literacy. 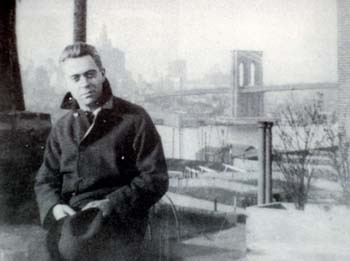 Who but Harold Bloom would have thought to put a volume of the doomed poet Hart Crane (1899 – 1932) into the hands of Bud Powell? I actually talked to Bud Powell about Hart Crane. I gave him a copy of the old black-and-gold Liveright edition of the collected poems of Hart Crane. [Bud] was an extremely articulate and quite brilliant person. 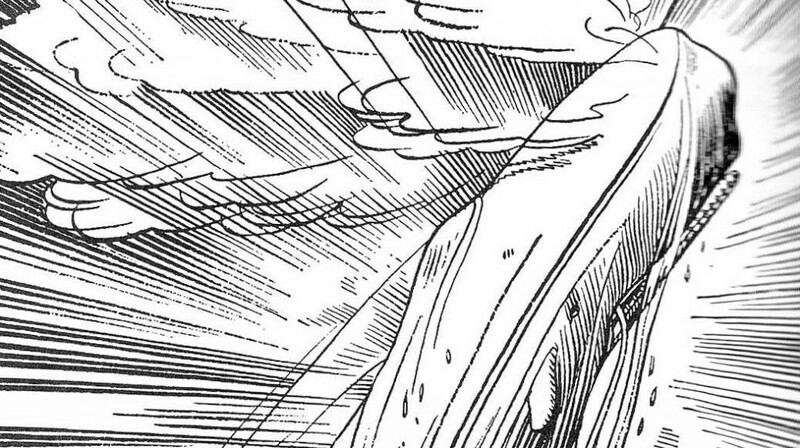 He read “The Bridge” and “The Broken Tower” at my suggestion, and “Repose of Rivers” and the “Voyager” sequence. And I told him there was a real affinity, I thought. I could not hear “Un Poco Loco” played by him, whether on the recordings — those three wonderful takes — or in person without hearing “The Broken Tower”… “The bells, I say the bells break down their tower and swing I know not where.” Because that’s what you feel is happening. Expecially when the now, alas, late Max Roach, in that extraordinary drum work in the latter part of it, particularly on the final take, the definitive take… You really feel the bells are breaking down their tower and swinging I know not where. You feel that the mind has reached its limit and is coming apart. Un Poco Loco indeed. The title is well chosen. It’s a highly autobiographical work, in a very complex way, “Un Poco Loco.” And for me it’s one of the summits of jazz. A cowbell ringing doom in the Hart Crane sense, or the Herman Melville sense. Thanks to Chelsea Merz for recording this interview, and to Paul McCarthy for editing it.